Crying has a way of capturing people's sympathy but it is not always an automatic sign of remorse and genuine repentance. Some people are professionals when it comes to shedding crocodile tears: they cry in such a way that their tears flows deep into your heart and hit your empathic button. But they are only playing on your intelligence. Their tears is not borne out of soberness or genuine realization of the magnanimity of their offence, rather, it is a tears of "let me have my way", "i did it on purpose and i knew it would come to this and I’m prepared to beg and cry". Such people cry a bucket full of tears this moment and the next minute they are back to their vomit, relishing in the same act(s) they just wept over. This is common among children and juveniles but unfortunately many adults have adopted it as a tactics to manipulate, avoid taking responsibility and of cause, have their way. The truth is, in life, we must learn to be firm, principled and make use of our third eyes, i.e. learn to discern while being sensitive. Do not allow emotions over-crowd your sense of right judgment. Some men feel caged in their marriages because they married the one who succeeded at using tears to spur them to propose / accept a proposal. Some women are infected with STDs / HIV because they considered the tears of a crying spouse who would cry and promise to change but will always go back to his array of mistresses and side chics. Some teenage girls are pregnant today because they fell for the tears of a boyfriend who cried and blackmailed them that 'if they were truly in love, then there should be sexual inter course' only for the boy to disappear when she missed her period. The expression 'Crocodile Tears', comes from an ancient anecdote that crocodiles weep for the victims they are eating. A collection of proverbs attributed to Plutarch suggests that the phrase "crocodile tears" was well known in antiquity: comparing the crocodile's behavior to people who desire or cause the death of someone, but then publicly lament for them. In 2006, neurologist Malcolm Shaner, assisted by Kent Vliet, a researcher at the University of Florida, decided to test the story that crocodiles or their close relatives alligators and caimans were likely to "weep" while feeding. Studying animals in Florida's St. Augustine Alligator Farm Zoological Park, Vliet recorded seven caimans feeding. He chose to use caimans rather than crocodiles because at the sanctuary they could be observed feeding on dry land. Five of the seven animals were seen "weeping", leading to the conclusion that the story describes a real phenomenon. The researchers suggest that the "weeping" maybe caused by the hissing of warm air during feeding, which is forced through the sinuses, stimulating the animals' tear glands into emptying fluid into the eye. 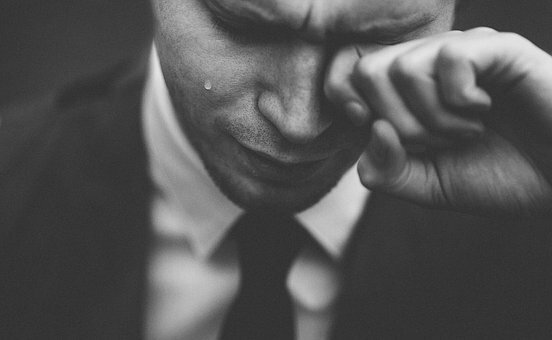 Life with, and around people (classmates, friends, colleagues, neighbors or spouses) who are experts at shedding crocodile tears could be very frustrating. They are the ones at fault, they are the ones hurting you, and still, they are the ones crying while reporting you to others. It is only they and you that know it’s all crocodile tears while others are carried away by the river of tears flowing without an end. But you know through your relationship with him/her, through discernment and experience that this tears is the tears of Judas who betrayed Jesus not the tears of Peter who denied Jesus. When life brings such pretenders your way, you must learn to be calm, you must pray for a discerning spirit, you must be slow to anger, you must not be quick to judge/report them, you must clear your conscience of grudges and do away with bitterness and ask God for wisdom. This way, your mind will have enough space to think strategically and come up with an objective decision. Remember, the crocodile weeps when eating its victims. People who are fond of shedding crocodile tears also have the traits of being cunning, spontaneous liars and self-centered egocentrics. They may not kill you physically, but may feed on your destiny, shatter your dreams and swallow your passion. Be careful and sensitive, don't be a victim of crocodiles in human clothing.